The Nissan Sentra is a whole lot of bang for your buck, a lot of car in a compact package. That isn't to say that the Sentra is cramped. The 2018 Nissan Sentra seats 5 comfortably with ample head and leg room, 39.4 and 42.5 inches respectively. That's more than the 2018 Honda Civic, 2018 Hyundai Elantra, and 2018 Toyota Corolla. An important part of comfort is safety which the Nissan Sentra has in spades, like our Blind Spot Warning and Rear Cross Traffic Alert. On top of that, the Sentra also comes equipped with Automatic Emergency Braking through Nissan Intelligent Mobility. 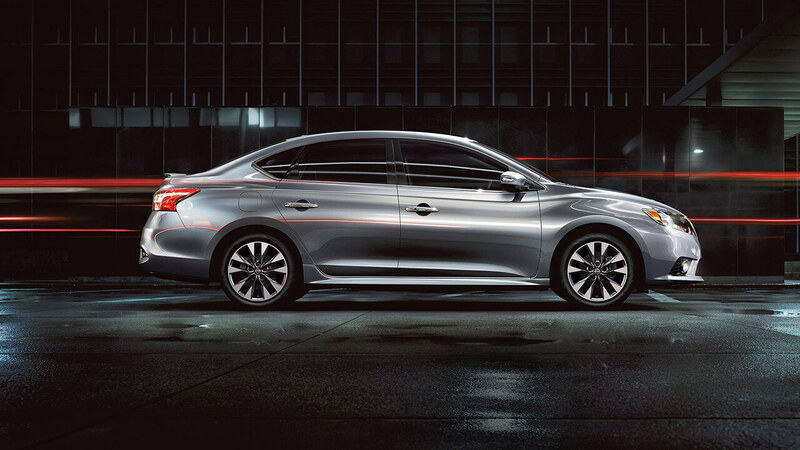 It's technology like this that truly sets the Sentra apart from the competition. The tech doesn't stop there. You can equip your 2018 Nissan Sentra with NissanConnect, navigation, Bluetooth, and more. We put pressure on the competition with our Class-Exclusive Easy-Fill Tire Alert. Fill up your tires without worry as your Nissan puts on hazard lights and gives you a beep when the pressure is right. Comfort, safety, and technology. The Sentra has it all. Right now, you can get a 2018 Nissan Sentra starting at $17,915 until January 2nd. Come in to Metro Nissan of Montclair and test drive yours today.